Each week a different section in ACIM. Typically the 1st and 2nd week of the month is a study of the Text. Your purchase in our Bookstore helps to support our all-volunteer ministry. Thank you! 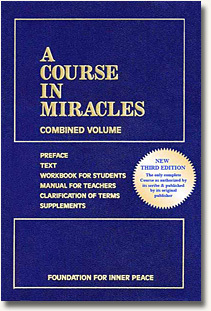 © 2019 MiraclesOne Books - A Course in Miracles. All Rights Reserved.